Whether you’re accustom to celebrating Shabbat every week, just on special occasions, or only at summer camp, Towson Hillel has a wide multitude of options for you to explore. These Shabbats take place in the Hillel Lounge where students use a meal on their OneCard to participate in dinner. These are orchestrated by our Student Board and usually will involve a fun theme and activity. Don’t have a meal plan? Don’t let that stop you fun joining in on the fun! Contact Us for One Card details. A Hosted Shabbat takes place off campus in the homes of one of our student leaders. While a hosted Shabbat is still sponsored by Towson Hillel, these are more intimate dinners where we empower students take on a leadership role in preparing and hosting a Shabbat dinner on their own. Interested in hosting your own Shabbat? 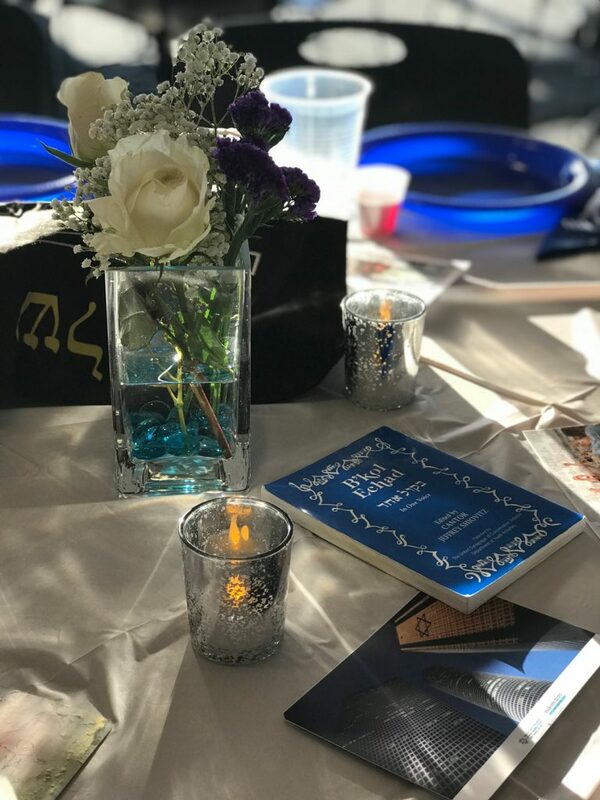 Contact Us for Hosted Shabbat details. Check our CALENDAR for the next Shabbat!